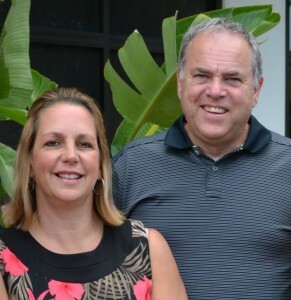 Phil and Sandy Johnson are planting a Grace Brethren church in Orlando, Fla.
Phil and Sandy Johnson moved to Orlando, Fla., to begin an evangelistic ministry. “After three years of being here, we realized we needed to pivot and become a church plant,” says Phil, who worked in ministry at Grace Brethren churches in Ohio, Indiana, Michigan, and Pennsylvania, before heading to the Sunshine State. It’s not just any church plant. It’s one focused on the thousands of employees who serve the public at the many theme parks, resorts, restaurants, and other tourist attractions in the Orlando area. Johnson says there are an estimated 67,000 employees in the Disney World system, the one with which he’s most familiar since Sandy and three of their five daughters have found employment there. That doesn’t include the more than 12,000 who work at Universal Studios, the estimated 36,000 employees at Sea World Orlando, or the thousands of workers who wait tables, clean rooms, or attend to cash registers in the many restaurants, hotels and motels, and businesses that cater to the tourist industry in the region. The Johnson’s focus has been on getting to know people, even if it means opening the doors of their home around the clock. “It’s total one-one-one relationship building,” he says. He lists some of the people whose lives have been touched: the co-worker who fell ill and subsequently died, the teen who lived with his parents in a hotel because they lost their house, or the young woman who broke into tears when she realized the Jesus that Phil was teaching about was the same person her grandmother always wanted her to know. “We’ve had about 12 people accept Christ,” he says. They’d like to establish a core of mature Christians who would partner with them in the ministry, working alongside them with the same vision to reach people with the Gospel. Eventually, he’d like to see numerous Bible studies held around town in which participants would gather together occasionally for larger celebration services.